We are sorry that Thursday 7 March is now full for Mums to Lunch. There are still plenty of places on the Monday, Tuesday and Wednesday. PL/DD having fun with Mr McDowell our Peripatetic Brass Teacher. There will be no school newsletter this week. Class LC spent Tuesday afternoon enjoying a maths themed Share session. There were lots of different activities around the theme to enjoy with the adults who came to school for the afternoon. Thank you to Mrs Harold and Mrs Waddel for organising the session. Last week children in KS1 had a super time exploring the snow. We were very pleased when we were finally able to make snowmen amongst other things. Here are a few pictures of us enjoying our time outside. Marcel and Josh from Bassistry Arts visit our school every 2 years for two days of workshops with the children. They are both amazing professional musicians. See their website. Bassistry are some of the most exciting and leading players in the UK. Performing and recording with artists as diverse as Plan B, Paloma Faith, Corrine Bailey Rae, The Streets, Amy Winehouse, Professor Green, Brand New Heavies, Incognito, The Bollywood Band, Natasha Atlas and many more. The 2 days culminated in a brilliant assembly with Marcel & Josh leading the whole school in a series of songs and dances. Watch these videos below. The first one shows Marcel and Josh from Bassistry Arts leading a dance and song with the children from Year 6. The second video shows one of our children playing the drums with Marcel on the bass guitar. Thank you for your support during yesterday’s closure, the decision was not made lightly, and I would like to reassure parents that decisions to close are only ever a last resort. As mentioned last term, choir is now up and running as we have a new volunteer adult (from the Phoenix Singers) who has kindly given up her time to help support the choir. Not many children turned up last Wednesday – just 2! - so please can we remind all those who were in Choir at the beginning of last term to come along this Wednesday. Thank you. Art work should be on the theme of “Magical Moment”, using any medium except bulky collage, no larger than A3 size and must not be mounted or laminated. The entry must be accompanied by a minimum donation of £2.00 for Cancer Research UK, and the child’s name, year and school name must be printed clearly on the back. Selected entries will be included in an exhibition at the Peter Pears Gallery in Aldeburgh from 8 - 10 March 2013. To have exhibited artwork returned it will need to be purchased at the Gallery. Please hand all entries in to our school office by morning of Thursday 24 January. We are all aware that Head Lice are regular visitors to schools, and we are no exception. Some classes this year have been unable to shift the problem. We have recruited the help of the local Child Health Advisor, from the School Nursing team who has offered to come and run a parent session to offer information, help and advice. We would like initially to run this for any parents of KS1 and Foundation. The date will be Thursday 7 February at 2.30pm in the upstairs computer suite. The session will be informal and will last only 30 minutes, but we hope it will give parents the support they need to deal with any future outbreaks. Please just sign in at the office on the day. We have a vacancy for a relief midday supervisor, to be called on when other staff are unable to work. The hours are 12pm – 1.20pm Mondays to Fridays as required, the rate of pay is £6.38 per hour. Please contact the office for an application form (01728 723354). We have been informed by St Michael’s Church that a child’s silver bracelet was found in Church on Christmas Eve following the Nativity Play. If this is yours please either let the office know, or speak to the Holy Horrors leaders on a Wednesday after school. St. Michael’s Rooms, Framlingham. Free taster session on Thursday 7th February. In light of past successes, this year we are running ‘Bring your Mum to Lunch’ on four days. Due to the expected numbers we ask that mums come on just one of these days, if you have more than one child at school you can all eat together. The costs of school lunches for Mums are £3.32. On the reverse of this letter is a menu for the 4 days for your information – if you require the vegetarian option you must indicate this on the slip below. Please fill in the reply slip below and return it to the office with the money FOR THE ADULT MEAL ONLY by Thursday 7 February AT THE LATEST. The catering team need to place their orders before half term; therefore we are NOT able to accept any late requests. Children should bring in their money as usual on Monday 4 March for lunch arrangements for that week. Please state below if a VEGETARIAN option is required. On the Day.....We would ask mums to sign in at the hall foyer and wait there for their child/ren to collect them at 12.00pm to take them into lunch. Could we remind you that unfortunately you will not be able to park in the school car park due to lack of space. We would ask that mums do not stay after they have eaten lunch; at this time the children will go to the playground and we ask that you sign out as you leave. We would also welcome your feedback on the forms outside the hall when you have finished. Our school stayed open on Friday and te children enjoyed an extended breaktime on the field. We were closed yesterday and no doubt lots of snow men were created. Mr Brook made this snow sculpture on his garden bench. Does anybody else have photos of interesting snow men or scenes like the one below? 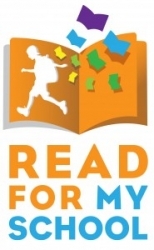 We are delighted to let you know that our school is taking part in Read for My School, the brand new national schools reading competition from 21 January to 22 March 2013. Long term studies show that children who read for pleasure are significantly more likely as adults to be in continued employment, own their own home, be IT literate, trust others in their community and vote. Read for My School enables all primary schools in England that have access to the internet to enter into a free, secure digital literacy competition that promotes and encourages reading for pleasure and rewards participants with the opportunity to win prizes for themselves and their school by reading books and then recording their progress online. All of our pupils in years 5 and 6 will be taking part in this fun, free competition that will challenge them to read as many books as they can over the two month period. We will assist pupils with signing up to the competition website, which is a safe and secure environment that complies with child protection laws, and progressing through the programme. However, parents and carers should also support their children by encouraging them to spend time reading at home and talking to them about the books they’ve chosen, as well as providing them with access to a computer so they can read the free online books (if possible) and/or helping them to find suitable books in your local library or bookshop. All children and schools who take part in the programme are eligible to win prizes drawn from a pot of 100,000 books kindly donated by Pearson, Penguin and DK. If you would like further information, including al list of Recommended Reads for the competition, please visit the Read for My School website at www.readformyschool.co.uk. Everyone who takes part in Read for My School will be awarded a certificate. There will also be two special certificates for the pupil in your school who reads the most books and the pupil who writes the best answers to the questions on the website. If you win these awards, your teacher might also decide to put you forward for regional and national awards, where you will compete against pupils from up and down the country for fantastic prizes, which will be announced soon! There’s also a pot of 100,000 books up for grabs, and your school could be in with a chance of winning some of them. Due to the snow there will be NO HOCKEY or RUGBY after school today. Tennis will continue in the hall after school. All pupils will get a chance to take part in the Bassistry Arts music workshops this week. They are interactive, dynamic, innovative, fun and educational, see www.bassistry.com for more information and look out for a report on our School Blog early next week. We are very grateful to the Friends who have paid for this event for the children. DINNER MONEY MUST BE PAID ON A MONDAY – please hand to the class teacher. If you do not pay on a Monday (unless your child was ill) you will need to provide a packed lunch for your child for that week. Cheques are the preferred form of payment, rather than cash (payable to SCC) and if possible, it is best to pre-pay for a half term at a time. Parents can, for example, pay for 2 days a week for the half term, and then your child can choose on a Monday which days they would like lunch for that week. Any payments not used during the half term can be carried over to the next term, or refunded on request. The Friends aim to run a Film Night on Friday 1 March – more details will follow in February. Class GA/VR assembly on 3 May and Class DB assembly on 7 June are being cancelled; this is because during this term these pupils will be involved in SATs, the Upper KS2 production and the Leaver’s Service. Please find with this letter the Scholastic leaflets, please complete and return to the office with payment by Monday 21 January. PLEASE NOTE PAYMENT MUST BE EITHER BY CHEQUE PAYABLE TO SCHOLASTIC LIMITED OR BY CREDIT CARD. Pupils and parents who use the back entrance MUST walk on the pavement by the school drive and NOT walk on the drive/road or in the staff car-park. Staff and visitors who use the staff car park are using this drive at the start and end of school, and frequently children and parents are putting themselves at risk by walking on the drive – this is a ROAD and should be treated as such, please. Thank you for your vital co-operation in this safety matter. We are pleased to announce that between 21 January and 22 March, year 5 & 6 will have the opportunity to take part in a brand new national schools reading competition. Pupils will be able to access free, online “reading books”. However, for those pupils who are unable to access the internet, then a list of “recommended reads” will be available. These books are likely to be available in school or in local libraries. As a school, we are keen to encourage all pupils, especially in Upper Key Stage 2, to read for pleasure and this initiative fits in perfectly with our desired aim. Of real significance to the pupils, though, is the chance for them to win prizes for themselves and the school. Pupils in Year 5 & 6 will be given a unique school ID that they will need to register and log-in at the Read for My School website at http://www.readformyschool.co.uk/, as soon as they have been given this information by their teacher they can get reading! During this week all children will be encouraged to check the lost property box, at the top of the Nursery stairs, for any missing items. There are school coats, sweatshirts, trainers, plimsolls, lunch boxes and more in the box. If you are aware you child is missing anything, please remind them to check the box this week. Unclaimed, unnamed items will shortly be given to a local charity shop. Just to remind all families that on World Book Day, we would like all children to come to school dressed as their favourite book character; we wanted to give children time to think of an idea for a costume.